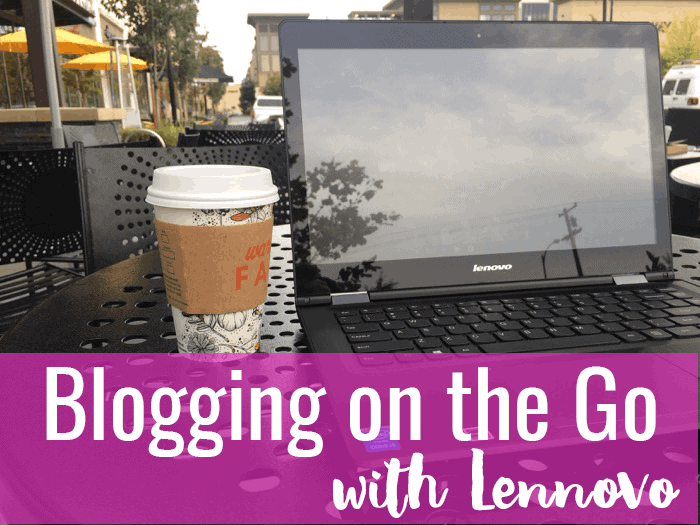 Today, I am going to share how I use my Lenovo 2-in-1 with Intel to blog on the go. When I have a busy week at work, I like to schedule my blogging time on Sundays. I always feel better with a schedule and a plan. So on Sundays, I head to my local Starbucks and blog for a couple of hours. I have been a fan of the Pumpkin Spice Latte…until I heard about the Toasted Graham Latte. You can disagree (and be wrong), but I think the TGL tastes way better than the PSL. Yes, you must use the abbreviation when talking about Starbucks drinks. 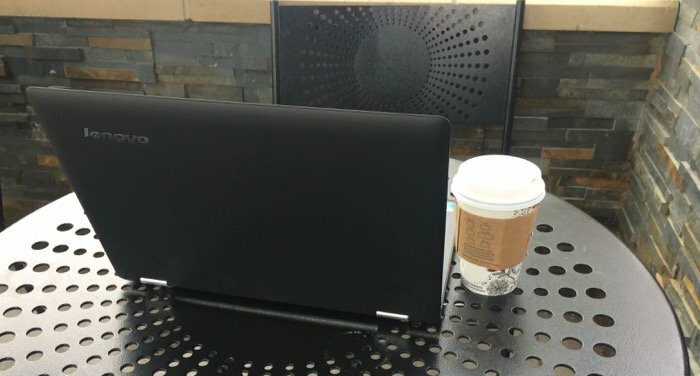 With my Lenovo 2-in-1 laptop, I am able to write and edit photos all in the comfort of my local Starbucks. When I first opened the laptop to get working, I downloaded the free Windows 10 update. This is a HUGE upgrade from Windows 8 with features like Cortana (a virtual assistant) and the capability to switch from laptop to tablet mode. Cortana and I have quickly become besties since she is able to set calendar appointments for me and find files with the click of a button. I like that I can download Photoshop and lots of design files on my Lenovo. I never felt like the memory was getting bogged down and making the computer laggy. I am constantly worried that when I go to buy a new font package that my computer will slow down. Added feature of the Lenovo 2-in-1? Flipping that screen into tablet mode. Hey, I sometimes I need a break from blogging and want to catch up on Scandal. With this huge 14in screen, I am able to sit back with my TGL and binge watch on Hulu. Have you thought about getting a computer exclusive for blogging? Tell me your thoughts in the comments! 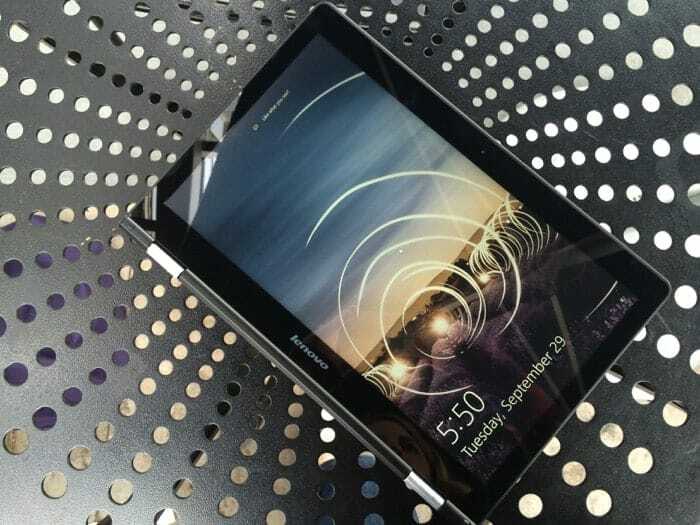 I have a Lenovo Yoga Pro that flips backward like this and I LOVE it! I definitely get use out of it, and use the touch screen capabilities even when I’m using it in laptop mode! It’s funny, when I go back to my Mac I am always touching the screen because I forget. I wonder if they would make a touch screen computer soon! I do that on my desktop at work! Hmmm, I never thought of a computer exclusive to blogging. We’re all MAC users in the Watkins household, but I’d use this Lenovo 2-in-1 exclusively for blogging. We are a mix of Mac and PC in my house. My husband right now is all team Android and I just don’t understand it! I’m absolutely in love with my Lenovo yoga. The only downside is that it doesn’t have a lot of storage space and with all of my photos I have to have my external hard drive plugged in pretty much all the time. Still the best computer ever though! I love having a small laptop to blog on the go. Thanks for sharing your story <3 I myself have an Asus and a Dell, but I bought my sister this Lenovo as her graduation present! I would actually get this a little smaller if I had a choice. The 14 in screen is good for editing, but it sticks out of my purse a bit. I like a versatile computer that is light and has a heavy duty processor. This Lennovo does the trick! OH I love my Mac, too. But having a separate computer for blogging doesn’t always allow a big budget for the hard drive space I need. The 2-in-1 sounds awesome 🙂 Also, the toasted graham sounds better than the PSL… the PSL is always a little too strong for me! I never thought the PSL was very pumpkiny. I mean it didn’t even have real pumpkin in it until this year! You should…like today!! I love how creamy and sweet it is!